We are a week into the month of February and I can feel the itch. I’m ready to get my hands in the dirt and figure out what I want to plant and where. Our winter has been unseasonably mild. We have maintained temperatures around 30 degrees with the occasional 50 degree day thrown in. We have had very little snow. It’s throwing me off. Typically the advice as to when to start your garden is as soon as you can work the dirt. In New York, this is usually in March but today the dirt outside is practically begging me to grab a shovel. It’s just too early. We could easily still encounter a major snowstorm or two between now and then. So to resist my urge to get started outside, I thought I’d take you along on a daydream of mine. Last summer my youngest sister, Julie, visited us from Seattle. We decided to take a short trip up to Montreal, Canada. Montreal is a fabulous city full of culture, great restaurants, and beautiful architecture. 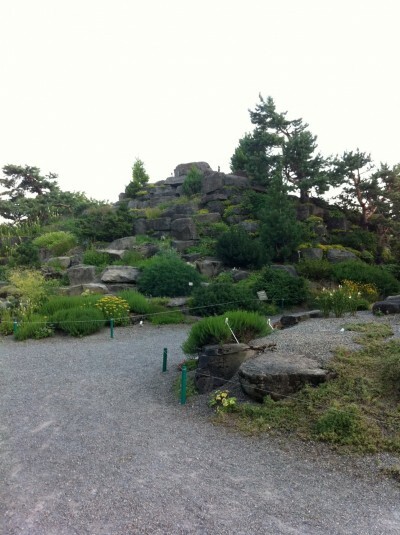 The highlight of our trip was visiting the absolutely breathtaking Montreal Botanical Gardens, one of the largest in the world. 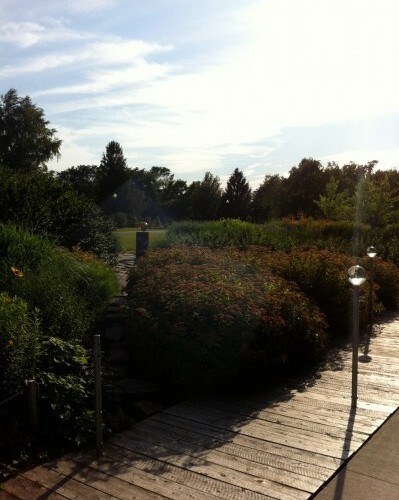 The gardens sprawl over 180 acres, contain over 22,000 varying plant species, and are organized in a thematic style that takes you on a world tour. It’s been called a nature museum and I can’t think of anything more appropriate. We were lucky to be there on a perfect summer evening. We had spent the day wandering the cobblestone streets of Old Montreal and it was our good fortune to show up at the gardens after 6pm, when the gates are open free of charge. It was an evening that will stay with me for a very long time. I thought it would be fun to take you on a photo journey so we can all draw inspiration for future garden plans. Enjoy! We entered the gardens from the entrance near the Insectarium which is part of Parc Olympique. The Insectarium was closed but they have a wonderful outdoor display, a sort of bug park. We took our time looking at some of the preserved insects they had on display, a little goofy but great fun for a little boy. 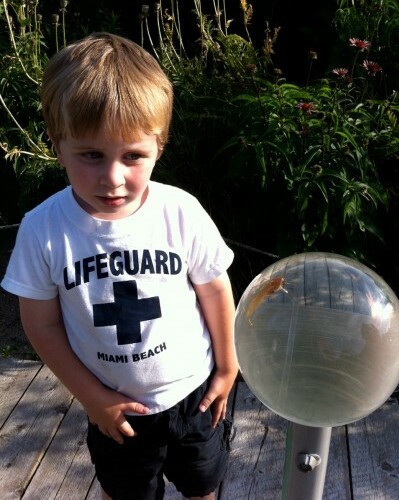 Gavin looks a little creeped out in this photo and I am not suggesting that we all add globes of preserved insects to our outdoor spaces, but I do think it’s great to add elements of wonder. Gardens should provide a place to think and connect to the environment. When I design the garden of my dreams, it will have a sense of humor and be a place to play. Next we walked through the rose garden. 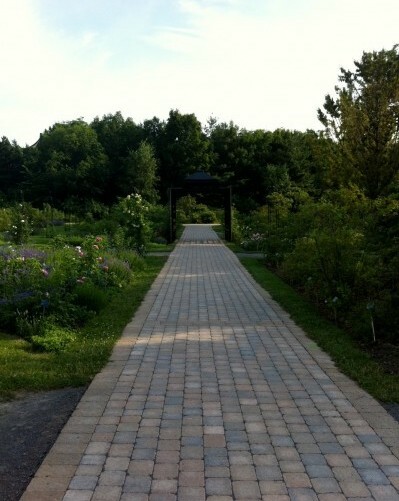 The cobblestone paths and borders of lavender gave this garden a very timeless feel. 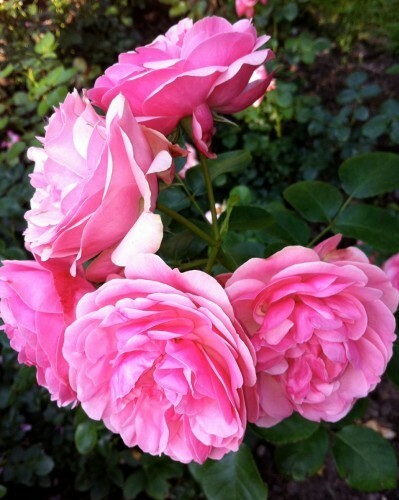 My dream garden will have roses. Lots of roses. 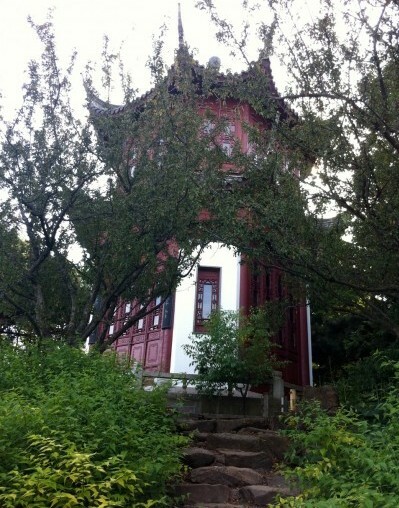 One of the most talked about of the gardens is the Chinese Garden. It is absolutely stunning. 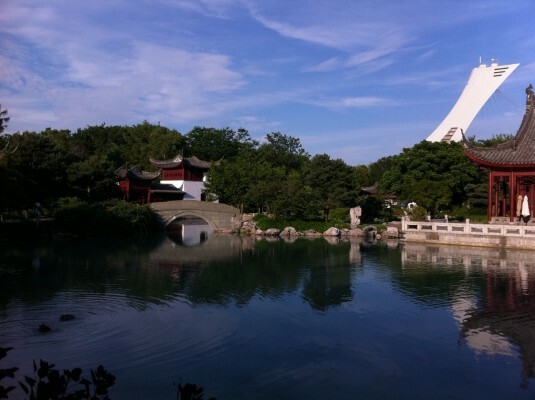 The architecture, lanterns, and the “dream lake” will transport you to a completely different place. We spent a lot of time admiring this space. All throughout this garden, there are little side paths that offer different places to sit and take it all in. If I lived in Montreal, I would do all of my meditating right here. 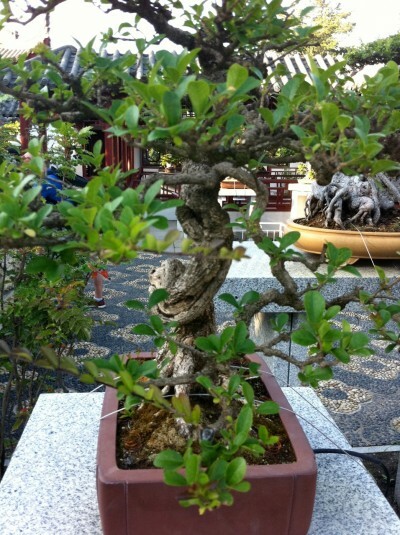 The Japanese garden is filled with interesting architectural pieces and various bonsai plants. This is part of the Alpine garden. Cobblestone and flagstone has been replaced with light gravel pathways and takes you to a completely different environment. It’s really cool how the gardens transition. My personal favorite style of gardening has more of a cottage feel. 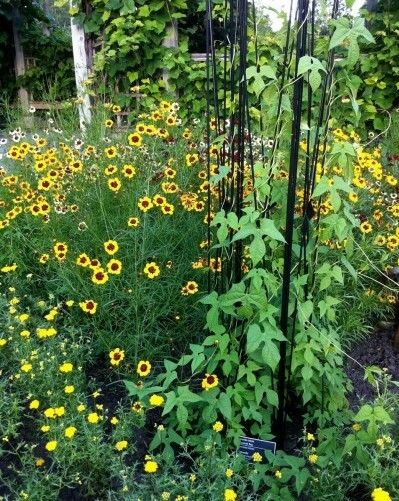 I love seeing edibles and flowering perennials mingling together. I prefer gardens that are less formal and more playful. 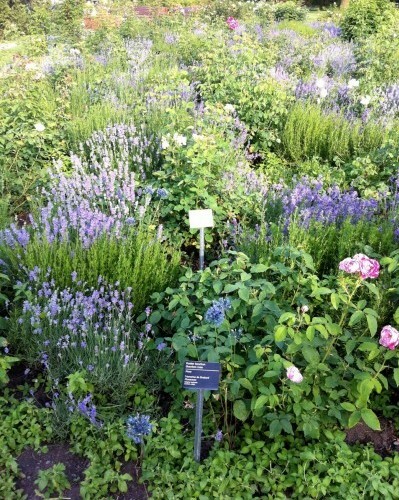 I am also a firm believer that all gardens should have some lavender. How cool do these poppies look amongst the cabbages? I love blue furniture and accents in a garden space. 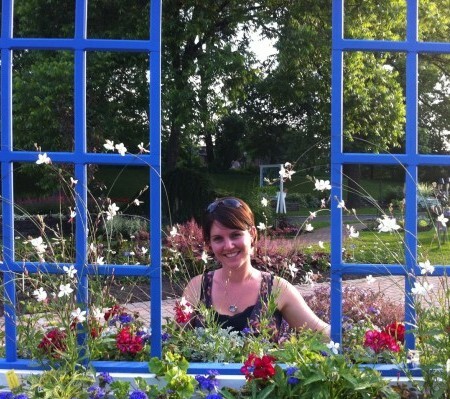 This blue trellis held a large window box planted with flowers and herbs. I wish I had taken more photos of the edible gardens. They would have blown your mind. I cannot even imagine how many gardeners work there. I wonder if they are responsible for one particular section or if they move around the grounds. Can you think of a more lovely place to work? Aren’t you so excited for spring? I cannot wait to see my perennials come back to life and look forward to reconfiguring my vegetable garden. Maybe I will paint the pea sticks blue or plant some poppies and cabbages. The possibilities are endless. Where do you draw your gardening inspiration? Great photos and like your original Montreal post did, this makes me really want to visit Montreal! The poppies are so cool! And I love the little tufts of lavender. A few of my tulips are starting to poke out of the ground and it’s making me very excited for spring! Thanks for all the inspiring photos. jenny, just love this post. your photos are great and the journaling is fantastic. 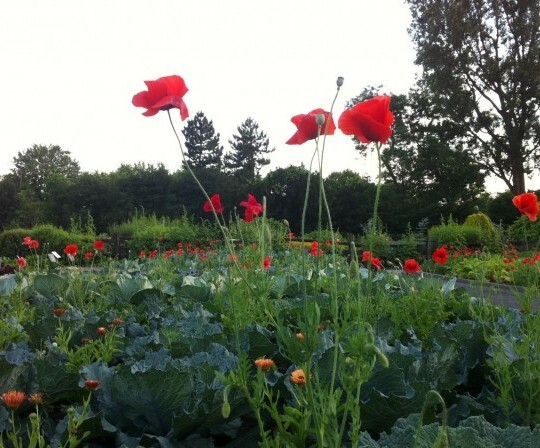 have always loved poppies–amongst cabbages is such a wonderful bit of whimsy. bits of blue in your garden sound wonderful. i think one of those gazing balls in blue would be cool! and that window frame in blue would be fun to replicate. look forward to you being close so we can enjoy your fantastic garden experiences, too.